Could your sofa use a new look? Perhaps it was passed to you from a family member and is covered in a floral fabric that’s completely wrong, covered in stains, or maybe you’re ready to redecorate and need a new look for your improved space. 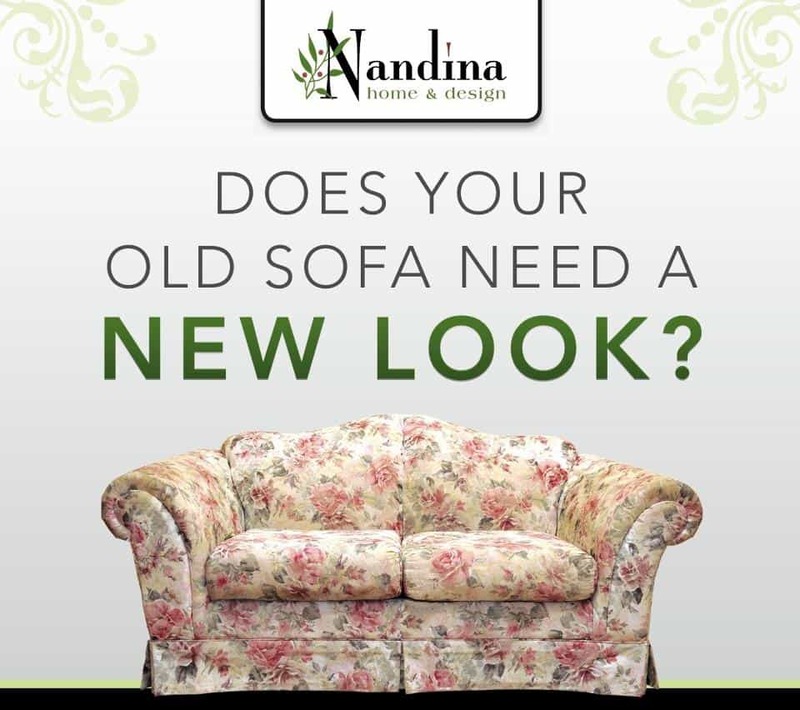 Whatever the case may be, Nandina Home & Design wants to give your sofa a makeover! Between now and June 22nd, send us a message on our Facebook page, including a picture of your sofa and your contact information. Then, from June 25th through June 30th we will begin taking votes. The sofa with the most “likes” will win FREE upholstery and 50% off fabric* to recover the sofa from Nandina Home. This is a value of over $1000! Head on over to our Facebook page today and send us a picture of your sofa that needs a makeover! Good luck to all! *Please note fabric must be purchased through Nandina Home & Design. We will pick up and deliver the sofa upon completion within a 40-mile radius of our Aiken, SC or Atlanta, GA locations. Reupholstery typically takes 4 to 6 weeks.